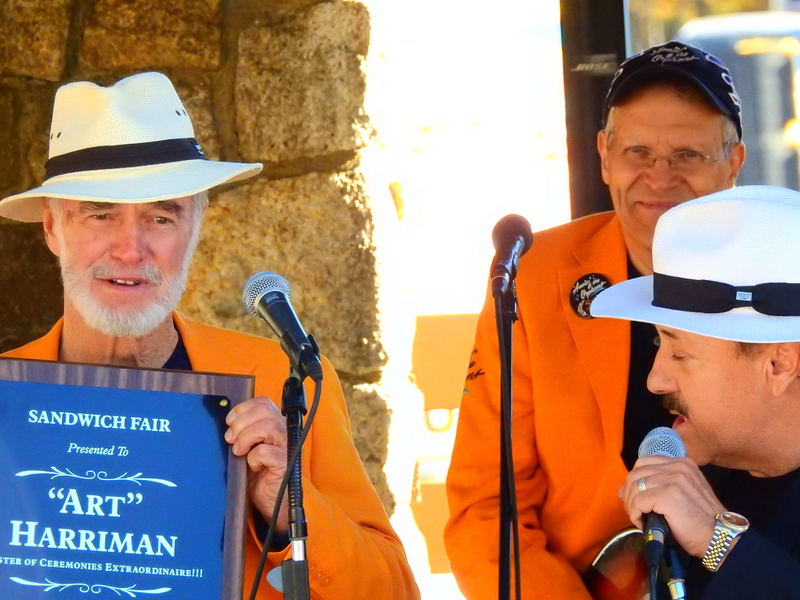 ‘Art Harriman’ Leaves Sandwich Fair After 38-Years As Master Of Ceremonies. 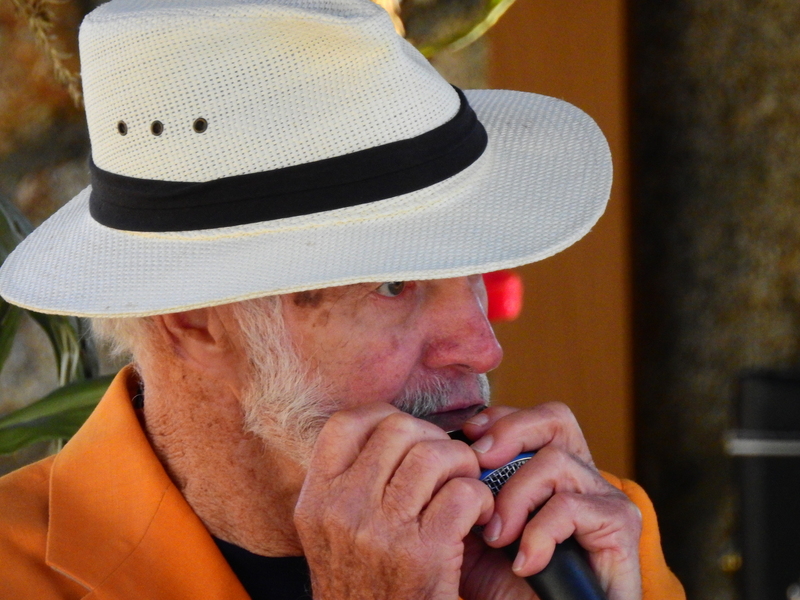 Art Harriman, the World record holder for playing the smallest harmonica ever (1″), has been a fixture at Sandwich Fair, N.H., for the 20-years or more that we have been attending. 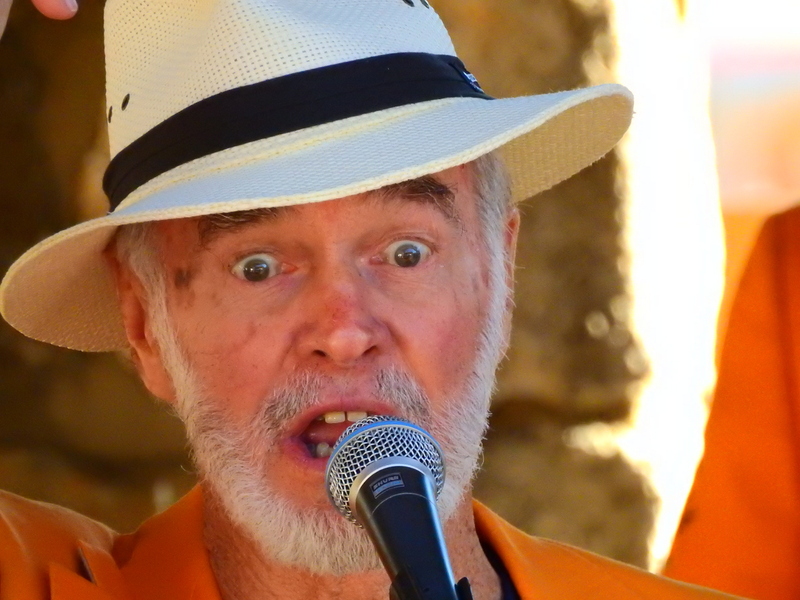 Monday, October 10, 2016, was, however, his last appearance at Sandwich Fair. 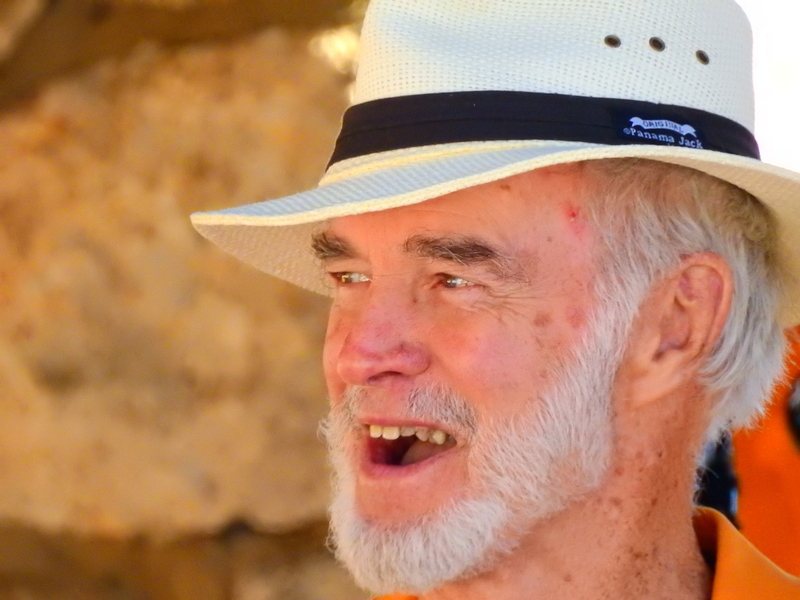 It transpires that he has been there, every year, without fail for 38 years! 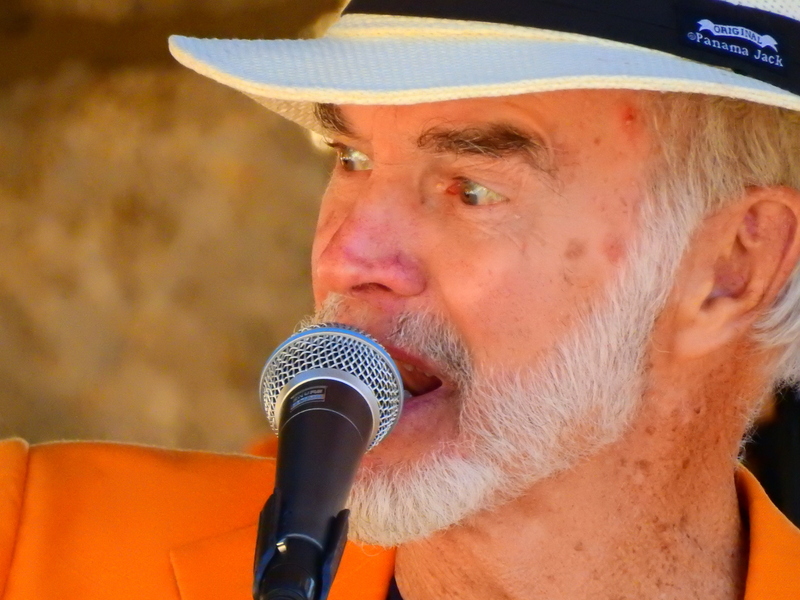 That would mean that he has been there, regaling the punters, since 1978. That is a long time. I did not know this but it transpires that “Common Man” founder/owner, Alex Ray (who has been providing food at Sandwich for 40 unbroken years), was instrumental in bringing Art to the Fair. Thank you Alex. My friends, “Annie and The Orphans” have been performing at Sandwich for over 28-years (with a few years gap several years ago). Ironically I called up Art, on the phone, and spoke to him about getting “Annie and The Orphans” back to Sandwich. He was very gracious. “Annie and The Orphans” & Alex Ray gave Art quite the farewell, “Annie …” doing an extended 90(+) minute set. It was moving, but kind of sad. Definitely the end of an era. 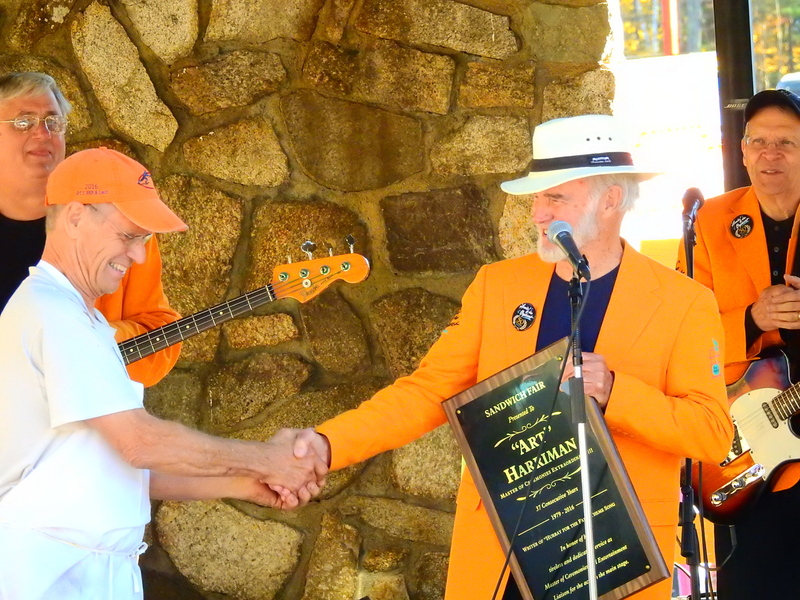 Thank YOU, Mr. Art Harriman. Sandwich will never be the same to us without YOU. We have never known Sandwich without you standing on the stage.